Should you transfer your UK pension? Do you have a UK registered pension and are you a tax resident in Chile? If so, and your pension remains in the UK, you should be aware of your possible UK tax obligations. Furthermore, benefits could be available should you transfer these pension funds out of the UK to other secure jurisdictions under HMRC’s favourable Qualifying Recognised Overseas Pension Scheme (QROPS) regime. If the pension remains in the UK, UK tax would be due on payments (at up to 45%). Furthermore, the fund remains exposed to the UK death benefit charges. No tax would be due in Chile. Transferring to a Gibraltar QROPS for non-UK residents (5 years +) can alleviate UK tax on payments (at up to 45%) with 2.5% Gibraltar tax on payments with no tax in Chile. Furthermore, the QROPS can protect from the UK death benefit charges if non-UK resident (5 years +) and there is no Gibraltar IHT. Transferring to a Maltese QROPS for non-UK residents ( 5 years +) can alleviate UK tax on payments (at up to 45%) with 35% Malta tax on payments with no tax in Chile. Furthermore, the QROPS can protect from the UK death benefit charges if non-UK resident (5 years +) and there is no Maltese IHT. From 6 April 2006 a single set of rules came into effect. Under this system, the tax treatment for all types of approved schemes, including occupational schemes, small self-administered schemes, personal pensions, self-invested pension plans and retirement annuity contracts have been amalgamated into the rules for Registered Pension Schemes. These can be either Defined Benefit or Defined Contribution (DC) Schemes. taxable only in the UK. There is separate provision for Government Service Pensions. Gibraltar has no DTA with Chile therefore the QROPS payments to you would be taxable in Gibraltar, currently at a rate of 2.5%. No UK income tax if non-UK resident (for 5 tax years + or total withdrawals are below £100,000). Protection from UK death benefit charges if non-UK resident (and non-UK resident for the last 5 years + before payment). rates of up to 35%. No UK income tax if non-UK resident(for 5 tax years + or total withdrawals are below £100,000). From 6 April 2015, the UK tax treatment of benefits from DC schemes on death depends, amongst other things, on the age of the member at the time of death (i.e. pre or post 75). From this date, generally, there should be a lower UK tax cost on passing pension value to heirs on death. However, that said there is still a possible current tax rate of up to 45%. For those that are non-UK resident and have a QROPS the UK tax cost on succession can be less. Individuals tax resident in Chile are generally taxed on their worldwide income, at progressive rates ranging from 0% to 40%. An individual is considered a tax resident if he/she remains in Chile for 6 consecutive months in a calendar (i.e. tax) year, or more than 6 months in 2 consecutive tax years. Non-residents are taxed on Chilean-source income only (subject to non-residents income tax). Foreigners who are tax resident are taxed on Chilean-source income only during their first 3 years of residence in Chile, although a 3 year extension is permitted as long as the request is filed before the expiration of the 3 years. Thereafter they are subject to tax on a worldwide basis. In order to obtain an extension, strong supporting documentation must be provided that clearly establishes that the individual does not have the intention to permanently remain in Chile. However, Section 17 N° 17 of Chilean Income Tax Law provides that foreign pensions (not Chilean-sourced) will be considered as non-taxable income. Therefore, despite the fact that Chilean residents are taxed on their worldwide income, foreign pensions, due to express provision, are not considered as taxable income in Chile for either residents or non-residents. No foreign tax credit would be available because foreign pension income should not be subject to Chilean taxes. There are no net wealth/net worth taxes in Chile. Inheritance/estate taxes are levied on the net value of assets transferred at death. Chile has signed 25 DTAs, including the one with the UK. 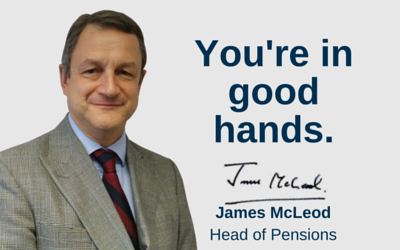 Make smarter, safer decisions for your pensions. This general information has been provided on the basis of our understanding of the current legislation in the UK, Gibraltar & Malta as of April 2015. Should any of the information provided be inaccurate, incomplete or misleading, we take no responsibility for any reliance placed on it. We recommend that individuals always seek specialist multi-jurisdictional (where relevant) tax advice so that their individual circumstances can be fully considered.